To make the gatefold card take a piece of a4 white card, using the card landscape score 7.4 cms from each end. Fold each end inwards to make the correct card base shape. On the dvd-rom select the Serval wild cat collection. On page one print off the first image sheet. Cut out one of the square images and a sentiment. Next go to page five and print off paper one and two. Using orange woodstock card cut a piece measuring 20.5 cms by 14 cms. Then cut paper one to measure 20 cms by 13.5 cms. To make sure that the image on the paper is even cut the same off each side. Matt and layer together and attach to the inside of the gatefold card base. Cut two pieces from orange woodstock card measuring 20.5 cms by 6.5 cms. Using paper two cut two pieces measuring 20 cms by 6 cms. Matt and layer together and attach to each of the sides on the front of the gatefold card. Next using orange woodstock card cut a square measuring 10 cms by 10 cms. The using white card cut a square measuring 9.5 cms by 9.5 cms. Matt and layer together and then add the topper using foam pads. Attach to the right side of the gatefold card using foam pads slightly over lapping the left side. 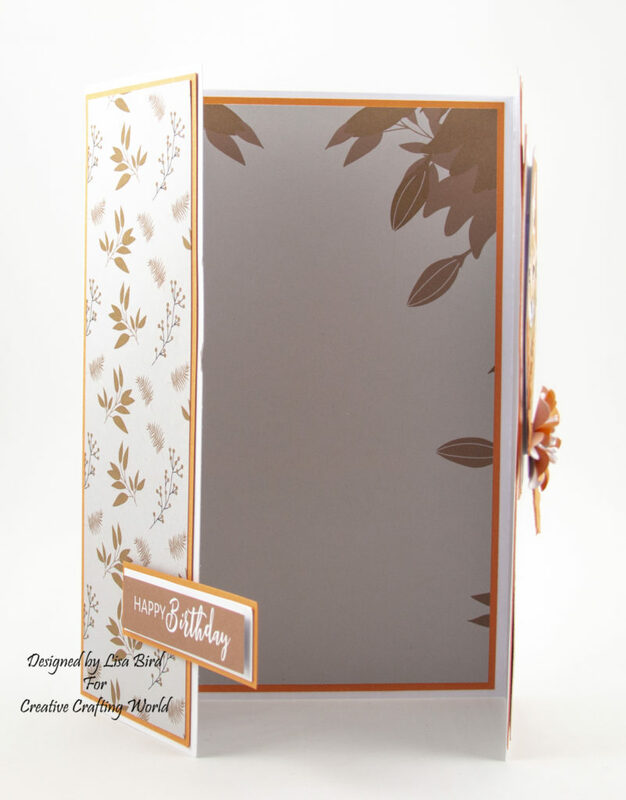 Using foam pads attach the sentiment to white card and cut a small border around the sentiment. 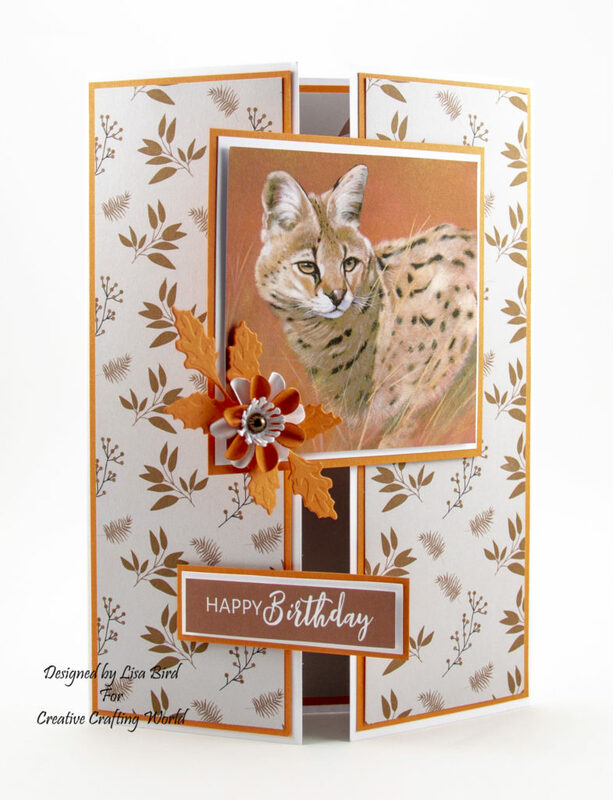 Then attach this layer to orange woodstock card and cut a small border around the layer. Attach to the left side of the gatefold card base. Make a flower using the small flower die from the flower and leaves die collection. Cut one out in orange woodstock card and one out in white card. Using white card cut out two stamens. Pinch each petal together to add a little bit of shape to the flower. Layer the flower together and add a small pearl to the centre. Cut out two leaves in orange woodstock card. Attach the leaves and flower to the bottom corner of the topper.